Kenya’s only ice hockey team, The Ice Lions, have made history after playing their first ever international competitive match in Canada. The Ice Lions have been unfortunate to never have faced any opposition except themselves until Canadian restaurant chain, Tim Hortons, sponsored the dream trip to the home of the sport. In addition to the once in a lifetime opportunity of playing an actual team, the Ice Lions were joined by National Hockey League superstars Sidney Crosby and Nathan MacKinnon as part of the surprise menu. The two professionals served as teammates to the Ice Lions at their game against the Mississauga Firefighters. On top of the trip and the surprise by the players, the Kenyan players were over the moon to see and use new equipment and personalized jerseys at each player’s locker. 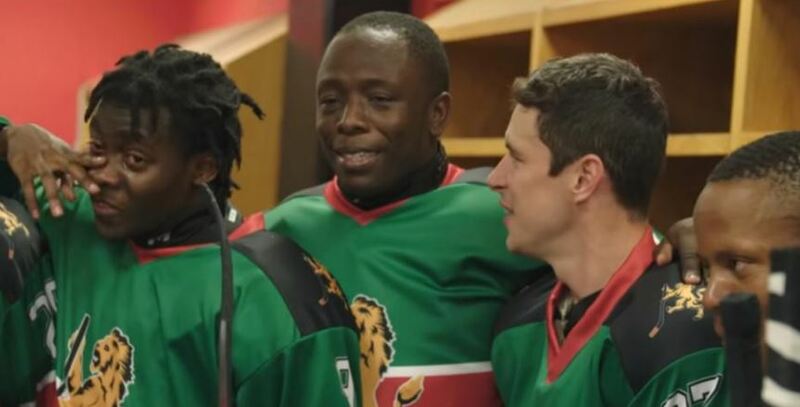 In a video shared by Tim Hortons, the Kenyan players were simply overwhelmed by the dream come true. Crosby and MacKinnon may have surprised the Ice Lions, but they were the ones who were left impressed by the Kenyan team’s talent. The Ice Lions, who practise twice a week at a 1,400-square metre rink at the Panari Hotel in Nairobi, were elated to receive new equipment including uniforms in Kenyan colours during the trip. Previously, the players wore soccer shin pads, sofa cushions or nothing at all to protect themselves. “When we first started playing, we didn’t have full equipment. But now we do.” said Azegere. The Ice Lions are hoping to qualify for the 2022 Winter Olympics to be held in Beijing, China. Tim Hortons is also looking to fund a local youth league with the aim of developing the sport in Kenya.